Write Emails. Hit Send. Make Sales. Find out real-world strategies on building an email list of laser-targeted leads who will listen to your every word. Discover what the professionals do to get their emails delivered, read, and convert (you can even put all these on auto-pilot). Profits matter. Learn the timeless classics and modern discoveries in human persuasion techniques that’ll make hitting that “Buy Button” almost irresistible. 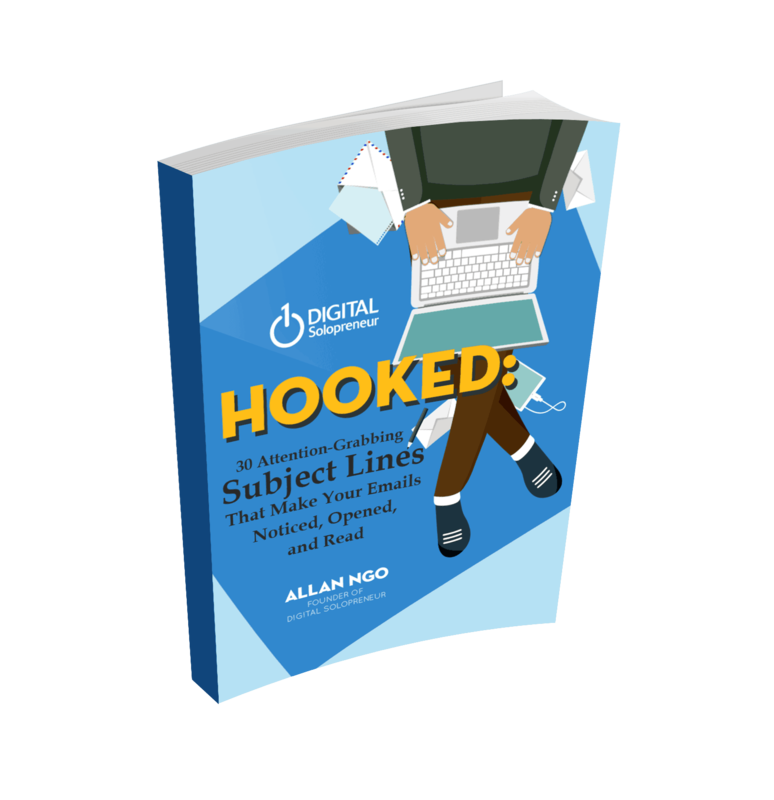 Attention-grabbing email subject lines (backed up with stats) you can use right away to boost your open rates instantly. In this episode, we're going to talk all about storytelling. He has worked extensively in Hollywood with the likes of Will Smith. We're lucky to have him to talk about how to use his 6 steps to writing a successful story in business. Discover the "One Stop Service" freelancing approach that allowed Ann her to charge $2000-$5000 a pop. Pat Flynn of Smart Passive Income Podcast which has gotten over 30 million downloads drops by to talk all about email marketing and it’s impact on his business. We talk about the power of last-targeting your message to the right segment of your audience, the monthly habit that Pat uses to get the pulse of his audience while making them feel they won the jackpot and some surprising personal tidbits you didn’t know about Pat. Do you know you can earn without - employees, inventory, or even a store? That's the opportunity that's available when you start an online business. Allan Ngo of DigitalSolopreneur.com talks about how you can start an online business selling digital or information products. Discover the 2 simple tweaks that DJKA Accounting Services can do to attract top-quality leads by convert their languishing site into a lead generating machine churning using content they already have. Selling? Yuck! If you don't want that stigma but still have a successful (and profitable) time selling goods and services, click on the link to find out how. Anxious about leaving the security of your stable income for the lucrative (but uncertain) life of an entrepreneur? Click on the link to find clarity on the other side.